Customized Blends is a personalised platform for producing custom premade stacks, and it is unlike anything else available today. One important fact to recognize about virtually all premade supplement stacks is they aren’t manufactured by the companies selling them. These formulations are almost always outsourced to contract manufacturers for both formulation and production. The reason for this is that most of the companies selling premade supplement formulas aren’t really supplement companies at all; they are barely more than marketing companies which are entirely removed from the sourcing, formulation, and production process that goes into creating amazing and effective supplement blends. 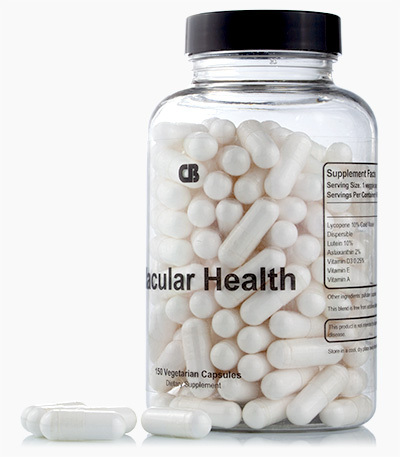 They promise you that their 'all-in-one' or 'universal' stack can deliver everything, because they don’t have the resources or expertise to create a comprehensive range of products that tackle supplementation in an effective manner. To be blunt, these blanket supplement and nootropic stacks are almost completely ineffective because they are designed to take advantage of consumers who simply don’t know any better. Often, they contain high doses of stimulants mixed with dozens of inferior ingredients in potentially harmful combinations resulting in overpriced, under-dosed, and unnecessarily complicated supplement stacks hidden behind proprietary blends that simply do not deliver on a fraction of what they promise. Premade supplement stacks have a universally poor reputation because of the deceitful practices by the shell companies selling them, and it explains why most informed consumers will choose to buy individual ingredients instead. Problem is, many bulk supplement retailers don't even bother testing their ingredients, while others knowingly sell fake and poor quality ingredients. The supplement market is overflowing with companies masquerading as experts in supplementation, when they often don’t even know where their ingredients are sourced from. Since many contact manufacturers won't disclose this information either, not even many of the businesses they manufacture for have any idea what is actually inside the products they are selling. In an effort to combat the deception, we built Customized Blends to be the first platform of its kind to produce completely custom supplement stacks exclusively for the individual. These are formualted entirely by you. With over a decade of experience in sourcing and manufacturing, our team maintains relationships directly with ingredient manufacturers from all over the world, ensuring we provide only the very best quality compounds - from medicinal mushroom and botanical extracts, to specialized patented compounds and essential vitamins & minerals. Most importantly, we provide unfiltered details of every ingredient within every blend we ship. The cost of every ingredient is provided within your blend, based on your chosen dosage. We allow up to 12 ingredients per stack, giving you full control over the dosage of every ingredient right down to the microgram. Once an order is placed, the total quantity and lot numbers of every ingredient used in the blend are displayed right in your order.